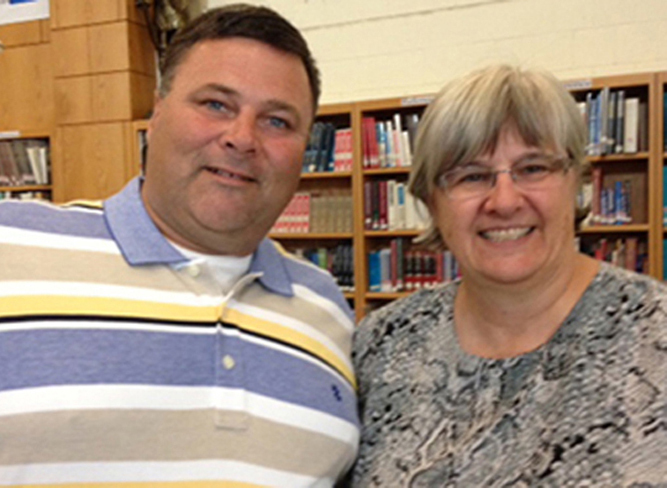 Chris Dintino and Deb Landry have known each other for years: In the mid-90’s, Mr. Dintino started his Sandwich teaching career at one of the district K-8 Schools. Two years later he was re-assigned to the H.T. Wing School where Ms. Landry was already teaching at the time. As they start the school year – the final year of the Wing – they are inspired by a sense of history and pride within the community of Sandwich and the SPS community. Together again, leading they will lead “The Wing School Family” as they celebrate and commemorate all things Wing throughout the year.